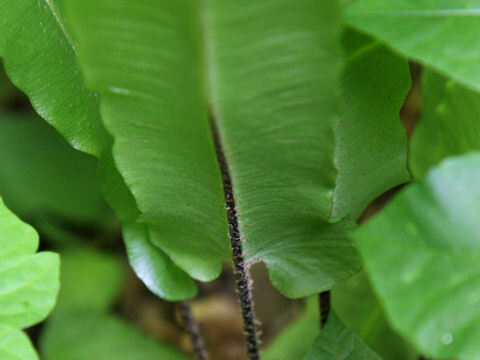 Hart's-tongue fern (Asplenium scolopendrium) belongs to Aspleniaceae (the Spleenworts family). 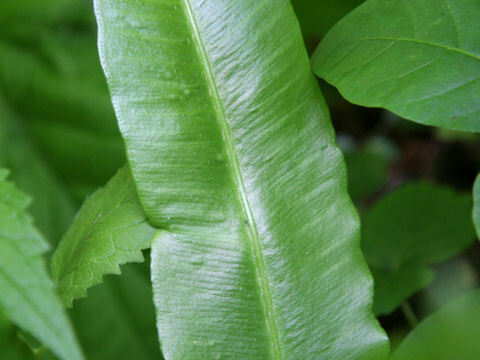 It is an evergreen perennial fern that is distributed all over Janan and widely in temperate areas of Northern Hemisphere. 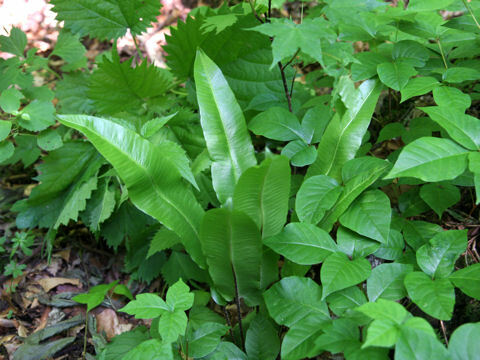 This fern grows in moist deciduous forests or semi-shade bluffs in the valley, and can reach about 30 cm in height. 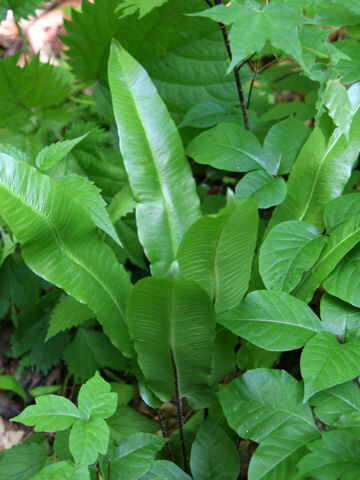 The leaves are simple, undiveded fronds with cordate basis. The sori are linear, about 15mm long, and arranged in rows sub-perpendicular to the rachis.